Here is a list of frequently asked questions and answers. If you still have additional questions, please feel free to email us. Who sells houses to Reitz Rentals? Do I need to come up with money for Closing Costs? Do you charge a realtor commission? Our last buyer could not get a loan. Will your offer go through? Why should I sell my house to Reitz Rentals? Are you a lawyer, accountant, or financial advisor? Do you buy other types of real estate besides houses? Are there any fees or obligations if I fill out the online form, call you or have you over? Okay! I'm ready to sell my house! I do not have a down payment. Can you still sell me a house? I know this is a dumb question, but will you take a trade-in? Do you have any houses for sale right now? I need an apartment now! Will you rent to me today? What type of properties do you currently have for rent? I know of a great deal! How can I make extra cash? It's simple. You fill out the home information form, which electronically submits your data to us. We will contact you to discuss the property. If there is a potential win/win situation, we will discuss potential offers and set up an appointment. We believe this is the fastest way to conduct business with today's technology. You don’t have to fix anything or paint anything. You don’t even have to wash the dishes to have us over. We’re looking at the house and it’s potential. We’ll be happy to do the repairs so you can save your time and money. We don't need a sparkling, brand-new house to make a deal work. All types of people! Anybody, in a situation where they would like to sell quickly for cash. This includes: trying to sell with an agent with no results, wanting to avoid real estate commissions, inheriting a property, landlords tired of dealing with renters, needing to sell quickly due to divorce, title issues, facing a job transfer, owners behind on payments or dealing with foreclosure, people with trashy houses that need too much repair, neighbors who live next to vacant houses and want them fixed up, and many more reasons! Anyone who wants to deal with a reliable, reputable company who puts integrity above profits and is willing to go the extra mile to ensure a quick closing with minimum hassle. This is one place where we can customize an offer for your needs. You will know up front the amount you will have in hand when you walk away from the closing table and the costs. We can pay all related costs such as physical inspections, termite inspections, appraisals, surveys, title insurance policies, recording fees, etc. No. There is no reason for you to pay the standard 6% real estate commission or any other commission. since we don't charge fees for anything and we're not Realtors or real estate agents. We're not going to LIST your house; we're going to BUY it. You won't have to worry about starting over months later because we can't qualify for financing. If you accept our offer we will meet you at the closing table. We can handle all the paperwork and details. All you do to sell your house fast is show up at closing to sign some papers and pick up your check. We are not real estate agents and are not associated with any real estate broker. We are private individuals who solve real estate problems. You'll get a quick sale with no hassles, your worries will be behind you, and you can get on with your life. Reitz Rentals do not operate in anyway like estate agents. We DO NOT want to list your house, we want to BUY it! We offer a quick and private service for property owners to sell their property. The privacy also extends to the actual sale of the house as you will not have strangers walking through your house and you do not have to deal with estate agents. There are no realtor commissions. Closing costs can be negotiated. No. If you have a legal, tax or other problem we suggest that you consult an attorney, accountant or other appropriate professional. House has been on the market for too long and you want to sell NOW. We can handle all the paperwork making the closing much easier for you. We are problem solvers who can make your monthly mortgage payments evaporate. We create and provide win/win real estate solutions for all our customers. Any offer you receive will be an amount discounted from the retail value of your house as if it was fully renovated. 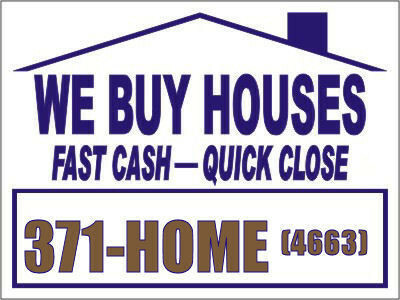 We are professional home buyers who buy homes below market value for a profit. When we buy a house it may need to be remodeled. The cost for materials and labor along with the time it takes to renovate a property is also taken into consideration. Taxes, insurance, interest, utilities etc. are calculated for the estimated renovation period and are reflected in our offer. However, we close quickly, pay cash, can pay all normal closing costs and we do not charge any commission. We buy any type of real estate including houses, condos, townhouses, apartment buildings, strip centers, commercial buildings, residential and commercial building lots ….even mobile homes with land. Are there any fees or obligations if I fill out the online form, call you, or have you over? There are never any fees or obligations to have Reitz rentals assess your house. It is totally up to you to accept or reject any offer we make. Yes, No one needs to know that your house is for sale before it is sold. Tenants, neighbors, relatives, friends and others do not need to know. You can now sell privately without them knowing. Price, No one need to know much you sold your property for. If you want them to know, you can tell them. Nobody needs to know your financial, health or other situation and/ or information. We will keep all your situation and/or information private. We buy houses primarily in Pennsylvania, within the Greater DuBois Area along with Brookville, Brockway, Clarion, St. Marys, Ridgway, Johnsonburg, Kersey, Clearfield, Treasure Lake, etc. though some purchases are made outside this range. Please contact us regarding any such sales. Great! Fill out our Quick Sell Form and we'll get started! Use the information found on our Contact page to call us directly or submit a Comment Form and we'll respond by e-mail or phone. When we make a deal to sell you a home, we may be more creative than you can imagine. Most of the time, we own the house outright and do not have to ask for the banks for approval to sell. If you can think some way for us to, get you in one of our homes. Just ask, who knows what we might say. First of all there is not a dumb question. You can ask any question on our question page. Secondly, yes we will consider any offer even with a trade-in (houses vehicles, boat, gun collection, timber or anything of value). We can do this because we can deal without the banks approval. Just go to our Homes for Sale page. There you will find a current list with pictures and information. We get this call all the time. The first thing you need to do is set up an appointment to go see the apartment or house. If it meets your expectations and budget you will be asked to fill out an application. After we have time to go over your application and everything checks out ok we will set up a time to sign a lease after which you can move in anytime. Your next question may be why so much? We are not just looking for tenants, but also good neighbor for the tenants we already have. And when you become one of our tenants we will take the same care in picking your neighbor. Just go to our Homes for Rent page. There you will find a current list with pictures and information.